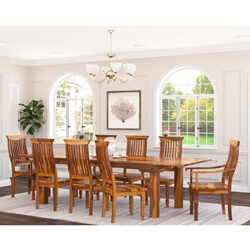 Along with style, if you are looking for some extra room and comfort in a dining room set, take a look at the Lincoln Study 6 Barrel-back Chairs w Extension Table. 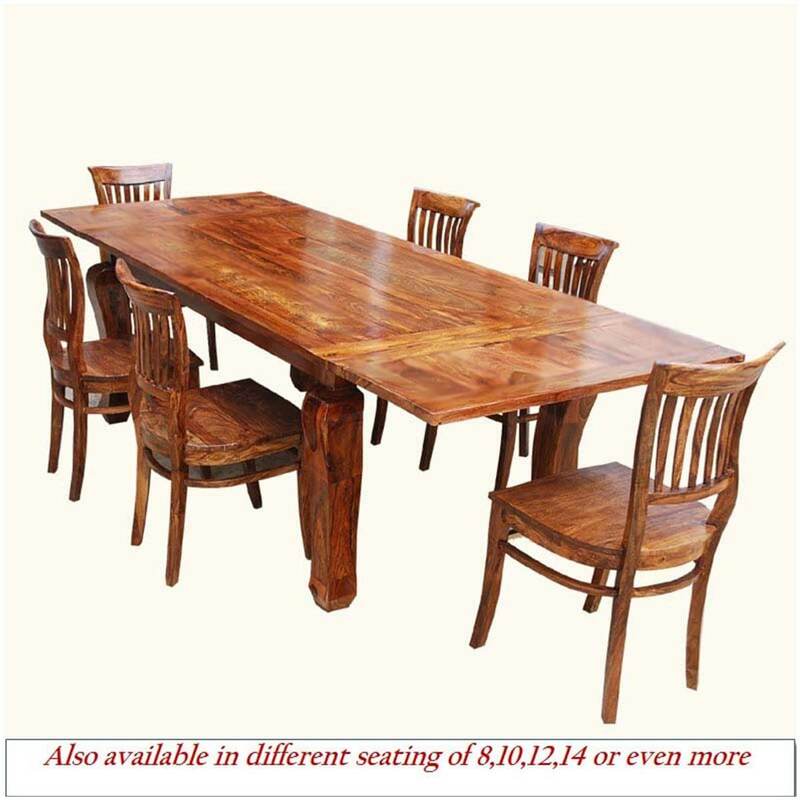 The solid wood dining table has a detachable extension leaf so you have more space when you need it. 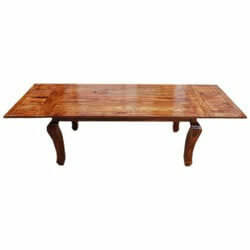 Queen anne style saber legs act as the only embellishment in its otherwise simple design, making it an elegant piece of furniture. 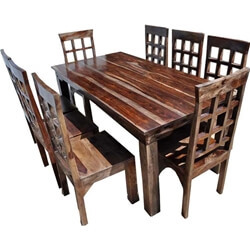 The six barrel back chairs have rounded backs and wide rounded seats which make the chairs comfortable to sit on. 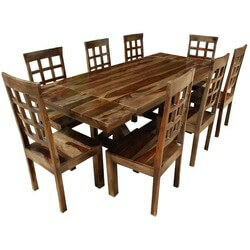 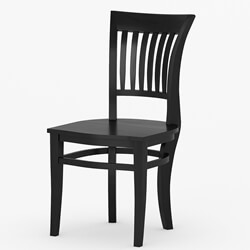 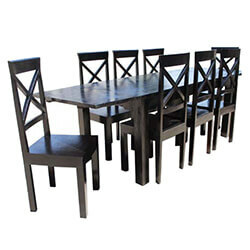 Note the stretches on the front, sides, and backs of each dining chair for extra support and durability. 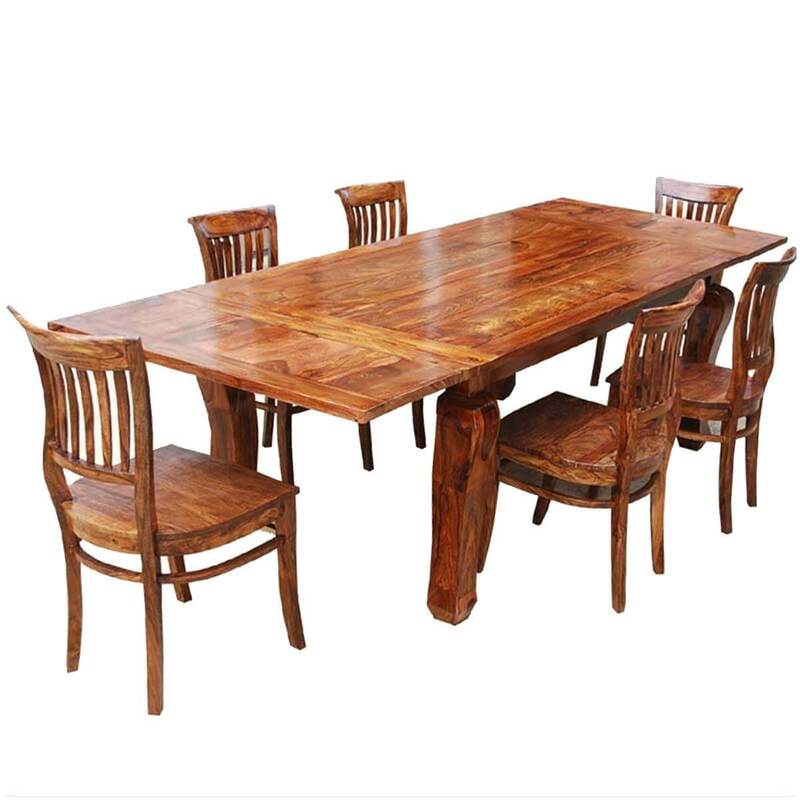 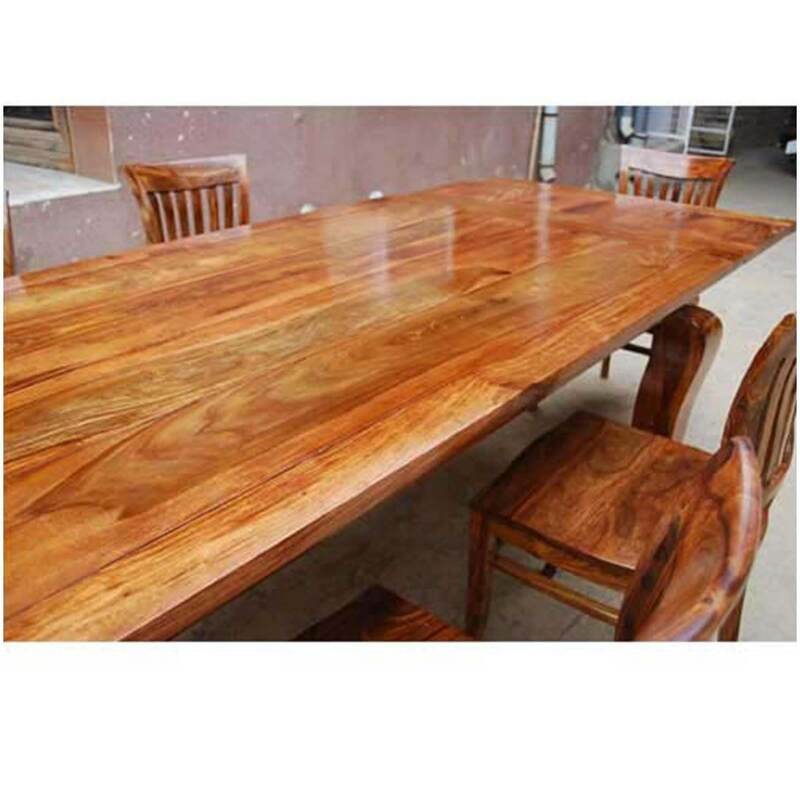 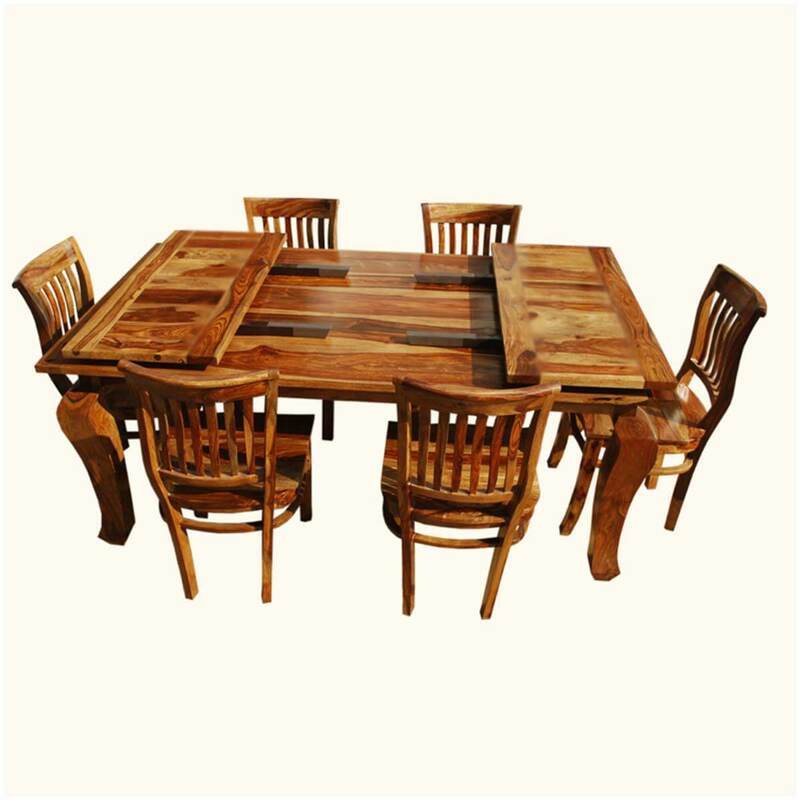 each piece of this dining table and chair set has been handcrafted from properly seasoned solid rosewood which ensuses its heirloom quality. 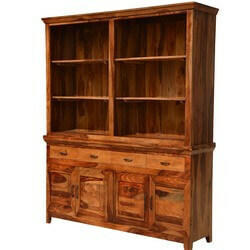 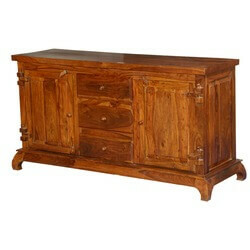 Look for other traditional pieces in the Lincoln Study collection.